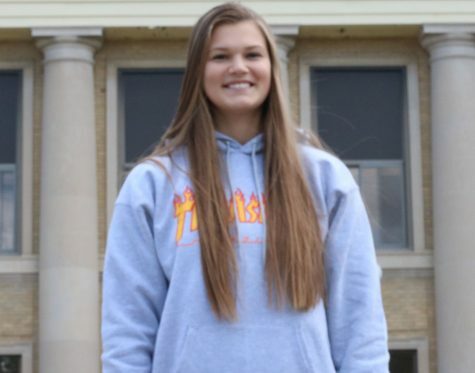 Julia Hansen is a senior at the Owatonna Senior High School and is in her second year of Magnet. Hansen is involved in basketball, concert band as a french horn player and a leader in Young Life. She is currently waitressing at a resort and loves to babysit whenever she can. Her plan after high school is to attend Mankato State University for a major in law enforcement and a minor in business. Hansen’s reason for joining Magnet was to better her writing, interview skills and to become part of a team. Her favorite thing about Magnet is hearing people say they enjoy reading her articles and watching other staff members improve on their stories.